As a teenager (many, many years ago), I struggled with negative body image and pretty much fit into all the statistical categories above. Needless to say, it was a traumatic time in my life. As a Young Adult author, I wanted to find a story thread to explore this theme without writing an “issue book”. I asked myself the question: In a society that is obsessed with beauty, how would my protagonist, Abby Hughes, a seventeen-year-old with a severe facial disfigurement, overcome obstacles and navigate her way to self-acceptance? In the past months since The Story of My Face was published, I have been gratified to hear from readers—both teens and adults—who have been inspired by Abby’s journey. Organizations such as Be You, Dove Campaign for Self-Esteem, Common Sense Media, and The Body Positive Site have tried to change the conversation about society’s beauty ideal. But, like Abby’s story in the novel, youth are still bombarded with unhealthy images and societal and media pressures about how they “should” look. And it’s taking its toll. Negative body image may contribute to academic problems, disordered eating, poor self-esteem, abandoning physical and social activities, and depression. Be a positive role model who is accepting of your own body. Examine your own values and beliefs about body size and health. Compliment students on their abilities, character, behaviour and other areas that they excel in, rather than their appearance. Show students a variety of images that reflect diverse physical abilities, body sizes and outward appearances. Reinforce the message that bodies come in all shapes, sizes, colours and weights. Engage students in discussions that challenge messages regarding what society deems are desirable physical appearances. Choose respectful language when discussing bodies and health. Encourage students to accept and care for their bodies. Promote physical activity because of its mental and physical health benefits—not to alter shape or size. Teach students how to challenge body-based bullying. It’s not an exaggeration to say that teachers have the ability to change students’ lives. Encouraging students to accept themselves, just as they are, could make all the difference in the world. 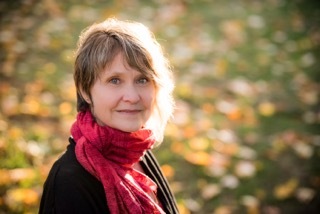 About the Author: Leanne Baugh has been a waitress, receptionist, teacher, stay-at-home mom, and a screenwriter. Leanne is passionate about books, films, beach walks, and hummingbirds. 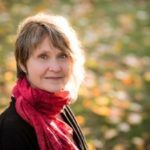 When she isn’t at home in Victoria, B.C., she’s off traveling the world. 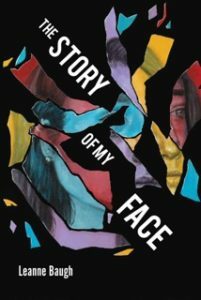 About The Story of My Face: After being attacked by a grizzly bear in the Rocky Mountains, seventeen-year-old Abby Hughes’ facial scars are all she can think about, and all that she thinks anyone else can see when they look at her. It’s now September, and Abby’s months of hiding out at home are over. Returning to high school feels as daunting as enduring seven plastic surgeries. She knew it would be hard to show her new face to the world, but she didn’t expect to be rejected by her so-called friends. If she wants others to move past the surface, Abby has to learn to do that herself. Her love of acting and her return to the drama club may be the key to going on with her new life, or it may be the disaster that sends her back into her protective shell. Reminiscent to the book and film Wonder, Baugh’s story is full of the relatable struggles that teenagers face in high-school. A character portrait on the importance of self-acceptance, The Story of My Face is a timely novel in the midst of the ever-growing image driven social media landscape. Thank you, Leanne, for this inspirational post! All we can say is: YES!!!! Body positivity for young girls is so important and is life changing! Really important essay, Leanne – especially for young women who are bombarded with, as you so accurately describe, unhealthy images and societal and media pressures about how they *should* look. Your book shines a compelling and powerful light on the struggles of those who just don’t look that way. However, I think that corporations like Unilever (makers of Dove products) are not as interested in the self-esteem of young women as they are in making sure those young women buy their products. Dove’s “Real Beauty” campaign of 2004, for example, told us first that our natural imperfect beauty should be celebrated – but that natural aging is somehow wrong and must be stopped by purchasing Dove skin-firming creams. And then that we all should stop feeling intimidated by unrealistic media images of beauty – but we should open our wallets to buy Dove’s cellulite-fighting cream. That innovative strategy worked spectacularly well! Within six months of the campaign launch, European sales of Dove’s skin-firming products increased by 700%. The campaign’s sales topped $1 billion in its first year. They had clearly struck a nerve by appealing to the insecurities of the very women who passionately identified with their marketing strategies. An important reminder to young women (and older women like me!) is that campaigns like these are NOT about the company wanting women to feel better about our bodies. It’s about maximizing profits, and those come only when consumers are dissatisfied enough to spend money on improvements. Further to Carolyn’s comments, I would love teachers (and parents) to discuss how social and economic systems influence our health – take a look at what the Waters Foundation is doing in classrooms to encourage systems thinking. It will take a change in societal mindsets to look at ‘causes of causes’ of stigma associated with body image.